When you flush out a covey of quail, don’t shoot into the covey. Instead, pick out and select one bird to bring down! Good advice from a quail-hunter. And appropriate for addressing opposing views we encounter these days. I absorbed this advice just recently and already it is making a difference. One afternoon not too long ago, we indulged in our favorite after church past time, sharing lunch while reading the Sunday paper. An op-ed piece about ‘women’s health issues’ had caught my eye and raised my dander. The authors wrote, decrying the new administration’s goal of decreasing federal funds for Planned Parenthood. The way they framed their argument seemed to have one goal: to arouse the ire of women by describing a presumed danger of losing access to existing health care. The team of two local professors raised several points worthy of questioning and I wanted to tackle them all. Fortunately for my intended audience, I took a walk and listened to radio host Greg Koukl from Stand to Reason explain a principle learned from his days as a boy hunting quail with his friends. He explained that if you shoot directly into the covey, you’d waste your shot. But if you aim for one bird, you have a better chance of actually bagging one. His advice applied to our current contentious climate in America and shaped how I focused my letter to the editor later that afternoon. Listening to Greg, I also saw in a flash why previous letters I had penned most likely exercised zero effect on readers. Past letters have probably tanked due to a jumble of points, all poorly developed. So what did I focus on in this most current letter? A statistic mentioned in the paper’s essay. In a strategic move to minimize the arguments of the pro-life position, the authors stated that abortions account for only 3 % of all of Planned Parenthood’s services. I smelled a fake statistic. So this hypothetical one gal might receive 12 different services and only 1 is an abortion. Do you see how the quantity of abortions performed could be minimized when compared with the accompanying services? Thanks to Greg Koukl’s advice preceding my letter attempt, I selected this one issue and worked to write as clearly and persuasively as possible pointing out the misleading accounting. I don’t know if anyone will be persuaded, but clarifying my purpose and aiming at just one ‘quail’ focused me and guided my thoughts and word choice. Narrowing my efforts also helped me articulate for myself what my ‘bone of contention’ is! Whatever our views, it’s always worth the time to know what we believe and why! It’s a doozy of a choice. And we’ve been leaning toward voting for NEITHER major candidate. Yet, I want to approach this important constitutional right and privilege with reason thinking. 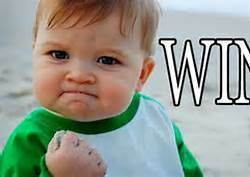 Acting and concluding ‘reasonably’ means one can support a conclusion or decision with a clear rationale. As can be expected, a lot of conservative Christians have weighed in. What do I find compelling so far? When we vote in November 2016, we are choosing an action that WE believe will do the most good, whether voting for Trump, for Clinton, for a 3rd-party candidate or abstaining. To vote for a candidate does NOT mean one endorses the entire platform he or she promotes NOR does it mean one approves of the candidate’s character in toto. Whoever is the next ‘POTUS’ or President of the United States will not only be able to nominate up to 4 Supreme Court Justices, he or she will also nominate Federal Court judges. We don’t have to make a conclusive decision until election day. So I will continue to read, study, listen and pray. Logical Joes and Janes use REASON to make any decision. Do you want to stand out from the rest of society? Then use logic! It’s actually a true analysis of many Americans. When I was hired at a classical Christian school, I was assigned one ‘extra class’ to teach: logic….to 8th graders! Not knowing the first thing about rational thought and argumentation, it took a year for me stumbling my way through the curriculum to begin to understand it. And as I continued to grow more skilled in the tools I was acquiring, I realized what a treasure I had been handed. Logical reasoning is foundational to reading correctly, to arguing cogently, to sniffing out holes in other people’s assertions. This discipline also goes hand-in-hand with apologetics, that body of knowledge that provides a rational defense for the truth of the claims of Jesus in the Bible. She does NOT believe in the divine and infallible inspiration of the writers through the power of the Holy Spirit. Why not? Because every other Christian she knows, outside of our family and one of her nieces, believes that a ‘fundamentalist’ (her word) interpretation of the Bible naïvely accepts what was the view of primitive men and women, way back ‘then’! Right off the bat, her argument is weakened by resorting to Chronological Snobbery, that fallacy that rests on the assumption that simply because something is old OR new, it must be better or worse. No legs under that assertion! When she restates her attack and critical view of the Bible, she then reminds me that we have travelled this road before, she and I, and we just need to leave it be. Today, though, I heard a powerful way of reasoning that I think will give her pause. Let me try out this hypothetical dialogue. Then you can let me know what you think and how she might respond. me: Well, John records Jesus informing Nicodemus that he had to be born again to enter the Kingdom of God. And Jesus likens this spiritual birth to the wind blowing where it wants; man does not control or initiate being ‘born from above’. It’s a God-launched change, unlike man-centered baptisms that ASSUME the efficacy of a priest declaring ‘you’re a Christian by the power of the Holy Spirit’ (and this procedure). her: (Version A) – That’s just John’s view! me: What? John was an eyewitness and disciple of Jesus! her: (or Version B) – Humph, the Bible was written by men and things get lost in multiple translations and in all the copying. It’s at THIS point where we usually reach our impasse and move on to something else. I respect her because she’s older and I don’t want to be TOO pushy. But now I think I will add…. me: You do believe that Jesus died for your sins and that you’ll have eternal life with him when you die? her: Yes, at least I certainly hope so! her: I’m not a ‘Bible scholar’ like you, but I know the church teaches that. me: Why do you trust what ‘men’ say and teach? 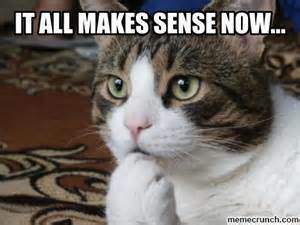 What if that doctrine is just a primitive and naïve interpretation? her: I have no idea. me: (another possible question for her) Do you believe the accounts of the death, burial and resurrection of Jesus? If so, why? her: That’s a solid belief that every Christian agrees on; nothing controversial there! me: So do you always believe a position to be true because ‘everyone believes it’? Could ‘everyone’ be wrong about something? ….then why not take Jesus at his word regarding the truth of all the Scriptures? Matthew 5:18 (Jesus asserts) I tell you the truth, until heaven and earth pass away not the smallest letter or stroke of a letter will pass from the law until everything takes place. Behold, the power of thinking critically and logically! True confession: more often than not I am SO eager to use the limited time I sense in a discussion to communicate my view, that I don’t take the time to understand the other guy’s case. Well what kind of god DON’T you believe in? His response would have provided far more clues to his thinking and shine light on a more effective tactic I might employ. Back stateside while catching up on some podcasts about thinking and reasoning, I heard Greg Koukl explain the importance of pursuing clarity on his radio broadcast (podcast). That advice reminded me of my Canadian conversation. Greg recounted part of a discussion with a Jehovah’s Witness visitor to his house (can’t remember if it was real or hypothetical) where the point of debate concerned the Trinitarian God of Christianity. First, Koukl clarified the Jehovah Witness’ distinction (and main point) between God the Father and Jesus the Son. Then he spent most of the remaining time getting the visitor to articulate what HE, the visitor, understood the Christian view of God to be (the view the man was criticizing). Greg reported actually writing down what the other man said. Only then did he compare that man’s talking points about his religion’s version with orthodox Christianity. That approach would never have occurred to me. I certainly know MY desire to make my case clear. And equally important is for me to understand properly my interlocutor’s viewpoint. But to take the time and tease out of the other guy what HE thinks MY position to be was a new strategy. It certainly removes some pressure by making the OTHER guy articulate both his own view and what he assumes mine to be. What happened in Greg’s conversation in the remaining time after clarifying both views? His investment paid off. Because he had helped the Jehovah’s Witness specify in his own words the Christian position, Greg didn’t take long to make HIS own point. It turned out that the Jehovah’s Witness was objecting to views of Jesus not at all factual. So there really was no problem or point of disagreement. It was a smooth and effective way to clear the smoke and confusion….or at least to rattle the cage of this über-confident evangelist promoting something other than biblical Christianity. So what are we supposed to make of this man’s distilled life lesson and advice? What came to mind immediately was the fact that whoever makes an assertion has the responsibility to defend his or her point. 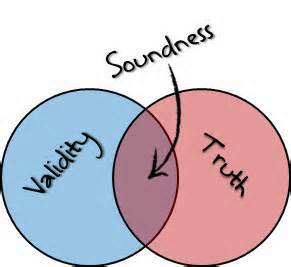 Often no one questions our sound bytes or pronouncements. We live in a fast world. Thinking takes too much time, apparently. Where to start??? Watching Greg Koukl model effective questioning in this Video teaching Tactics in Defending your Faith, I’ve learned that you can help someone reason through his assertions and see the outworking of his conclusions. You do this by asking questions that get the person to look closely at what might happen if someone took seriously her point. You walk with ‘asserters’ until they actually arrive at conclusions that are not sustainable or acceptable even to them. Besides employing courage, how does one decide what is right and what is wrong? What happens if your ‘right’ is my ‘wrong’? Who gets the final say? Who arbitrates? Who gets to define the concept of ‘good‘ in that 2nd sentence quoted above? What would our world look like if EVERYONE of these 2015 graduates you have addressed takes your advice and embarks on ‘trying to make’ the world ‘good’ according to his or her standards? Aren’t radical Islamic groups trying to do just that? Is force justified? How far do we allow fellow citizens to go in ‘making’ the world ‘good’? 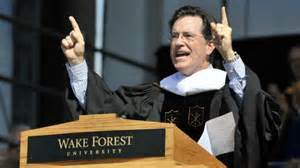 For the amount they probably payed Stephen Colbert, I hope Wake Forest was satisfied with their choice of commencement speaker! Logical Gal – what some will stoop to in order to WIN! Would you like to know how you can win debates every time? especially if your opponent is nervous and naive? Just redefine the terms to suit you! It’s that simple. I heard this point expounded while listening to a podcast from Stand to Reason. – Here’s the Link. Greg Koukl, the host, was providing listeners with an example of how some of the so-called New Atheists actually make a mistake when it comes to understanding the concept of Biblical Faith. The bumper sticker below is apparently what they think faith means. Do you suppose they exercise that kind of faith in airline pilots when they board a commercial flight? What atheists might label as faith is simply trust or reliance. Just as I’m sure they rely on previous safety records when deciding to board a commercial aircraft, Christians rely on eye-witness accounts as part of their ‘reasons to believe’ that Jesus is who He claimed to be. Thus these atheists incorrectly define faith as: “a leap of faith without evidence” aka “blind faith”. Certainly their false definition could be an intentional tactic. But I actually think they are woefully ignorant about what the Bible has to say about trust, belief and evidence. 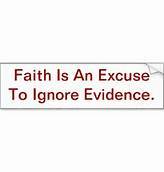 Numerous times in both the Old and New Testaments there are references to reason and evidence. And what makes the credibility of Jesus so solid is that His claims could have been easy to dispute. The falsifiability of a claim is its strength. So what would falsify Christianity? For one thing, had the Romans or Jews of Palestine been able to produce the body of a dead, crucified Jesus THAT would have been evidence that he was not who he said he was. 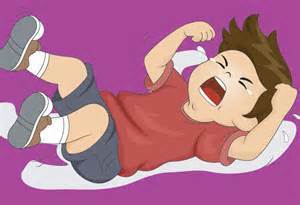 Question – So who actually is clinging to a debate position without evidence? 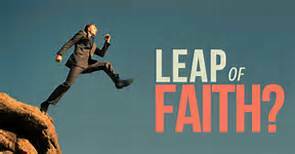 Are the ‘New Atheists’ themselves making a ‘Leap of Faith’ that the Biblical God does not exist?